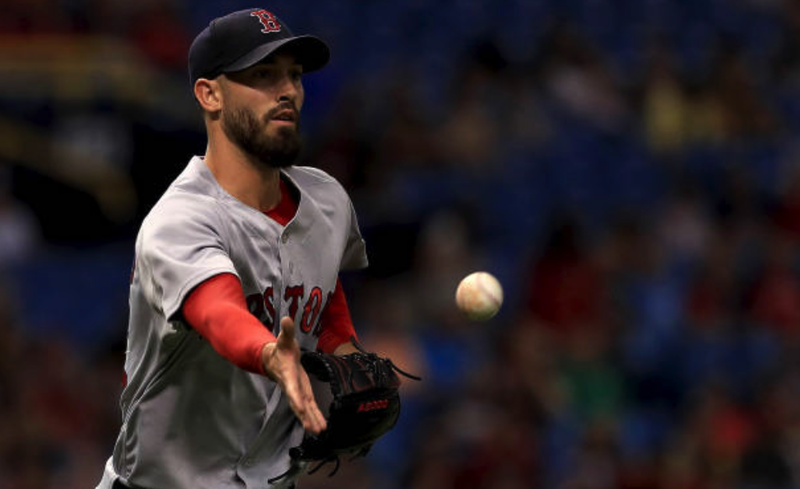 Rick Porcello was all over the place last night—missing locations, walking batters, and getting smoked when he did get the ball over the plate. From the very first batter of the night, it was clear that Porcello had nothing. It was another curiously bad outing by the only right-hander on the starting staff—as he went just 3.2 innings, giving up all six Rays runs (four earned). Boston struggled to generate offense all night, finally breaking through in the seventh on an Tampa error. In the ninth, the Red Sox added two more runs—including a homerun by Mitch Moreland (his 7th). The 6-3 loss reduced Boston's lead in the AL East to just one game over the idle Evil Ones. The Red Sox return home tonight against the former Boston Braves—who now reside somewhere in the Old Confederacy.